Helmets were again distributed to the Civil Defence organizations after the War. In May 1951 the Department of National Health and Welfare, which was in charge of Civil Defence coordination gave permission for the distribution of helmets. The anticipated requirement was for 150,000 helmets. 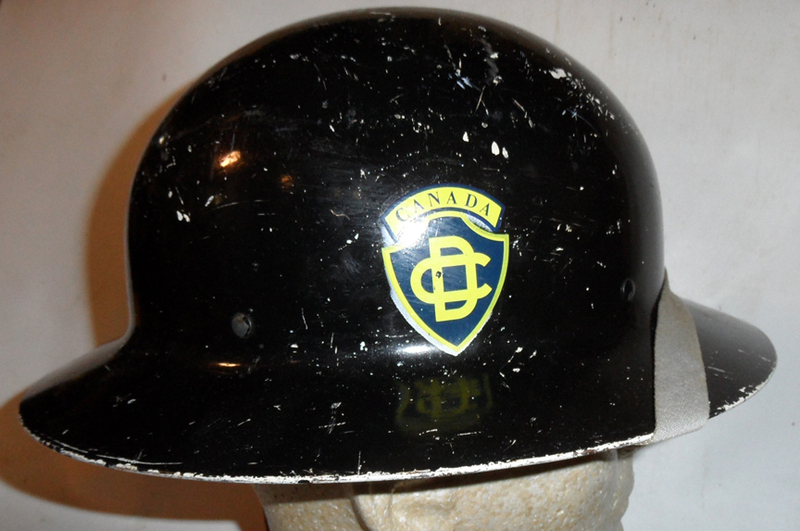 In April 1952 Treasury Board authorized $40,350 to buy 27,400 surplus helmets from Visco Petroleum Products of Toronto and 6,000 from Salvage Disposal Corp of Montreal. 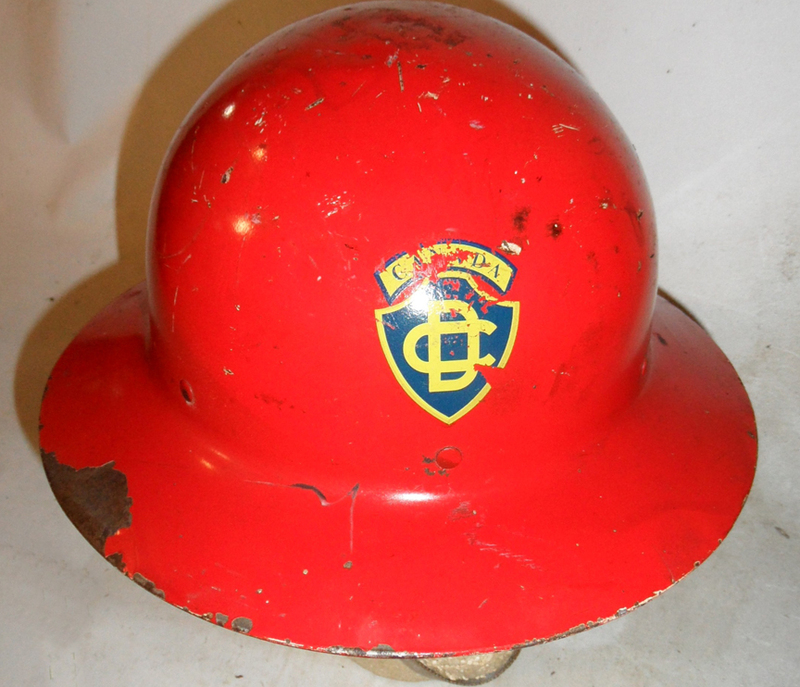 There also exists correspondence from this period from dealers offering US Office Civil Defense helmets, many examples of these hemets with Canadian Civil Defence markings exist, although there is no record of their purchase. Examples also exist of Mk.II helmets fitted with US made liners -correspondence about receiving mildewed liners would seem to describe liners of this sort. The 1953 colour scheme was reissued in January 1958. “Damage Control” was now termed “Sector Control”. A new pattern CD decal was also issued (although the old pattern could still be worn). The 1953 colour scheme was reissued in January 1958, however “Damage Control was now termed “Sector Control. Both old and new pattern CD decals could be used – the new pattern presumably the linked letters CD in yellow on a yellow rimmed blue shield. A document of 9/4/52 issued by the Vancouver CD Coordinator gives the following rank insignia – there is no documentary indication if this was used in other districts, but examples coming from other provinces indicate that at least elements of this system was used elsewhere. 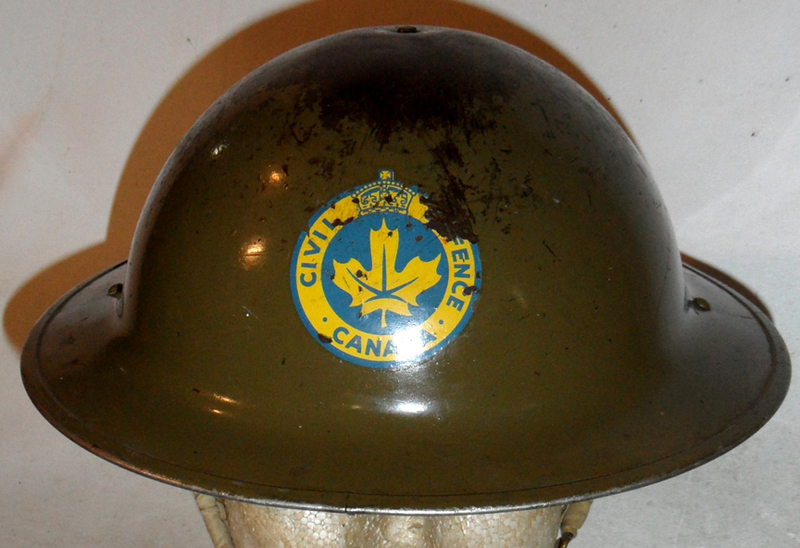 MKII helmet manufactured by CLC and dated 1943. 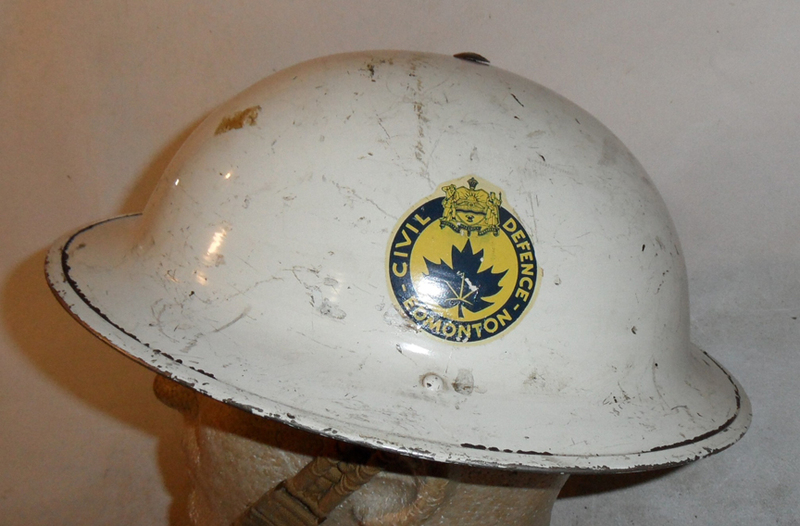 Marked to the EDMONTON Civil Defence (Warden), early decal. 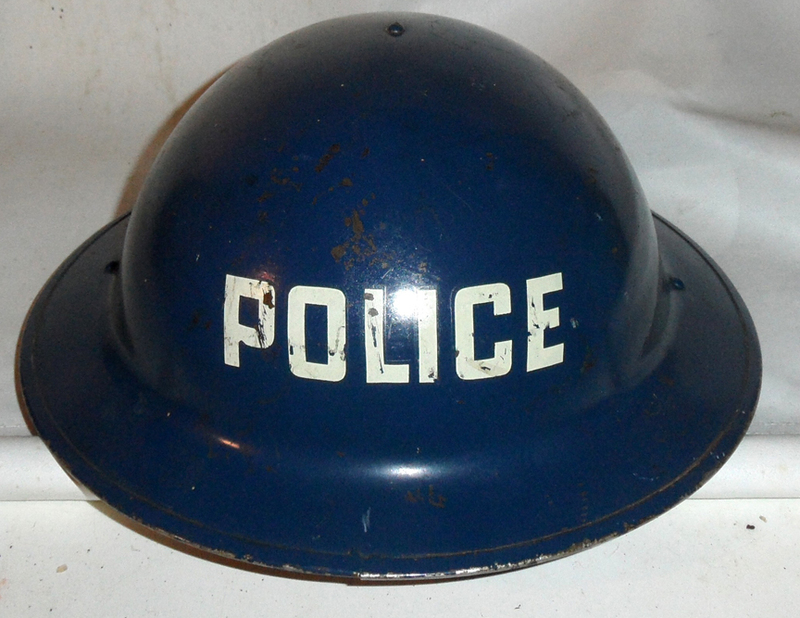 MKII Helmet manufactured by CLC, dated 1941 and clearly marked POLICE. Fig 3 – Fire fighter, late decal. 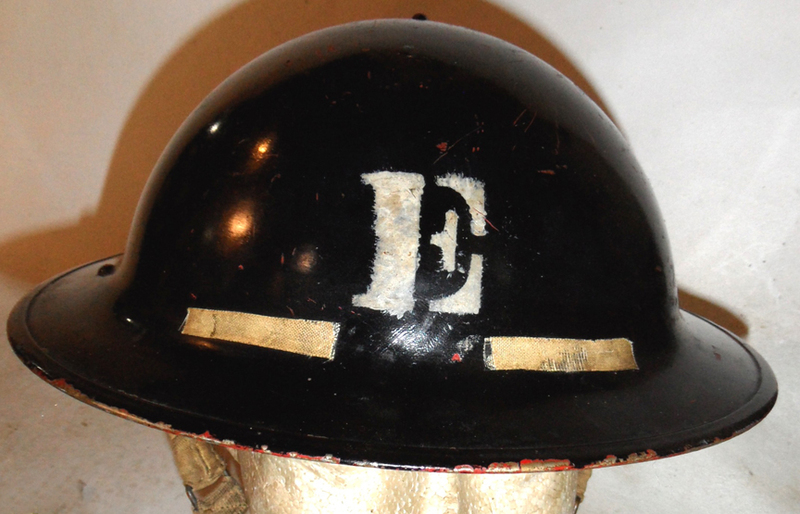 Fig 4 – MKII helmet manufactured by CLC 1942, and worn by an Assistant Chief Electrical Engineer. Fig 5. – The exterior has received yet another paint job Cilux “Rex Maroon” the new colour assigned to Medical/Ambulance organizations in 1953. 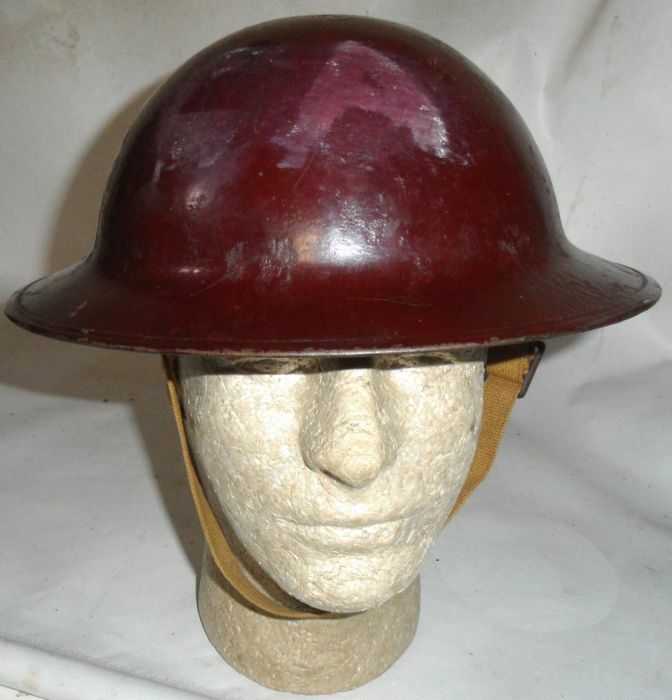 Fig 6 – This helmet is a recycled Mk.I from the Great War. 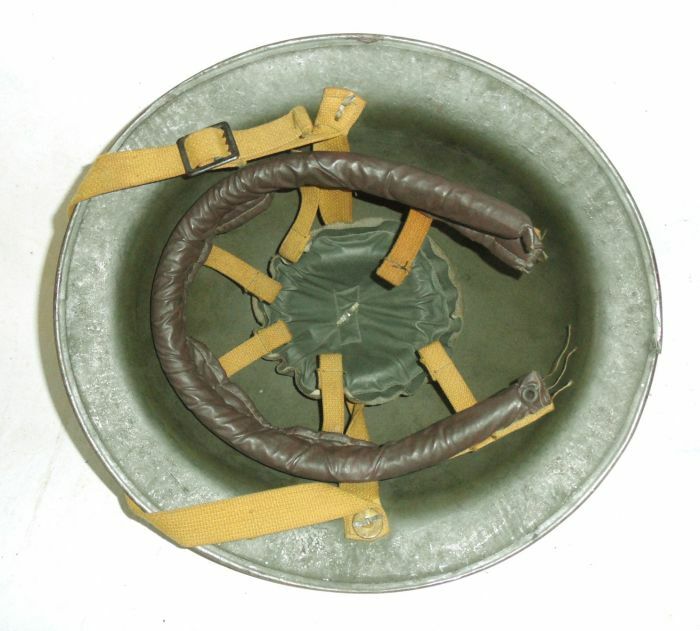 The chin-strap lugs have been removed and replaced by web straps riveted to the brim, The web and oil-cloth liner is a type made by a US Company, Cairns, and is often found in commercial US civil defense helmets, The helmet has been painted green, which in the original 1951 colour scheme was used for Medical/Ambulance organizations.